Over the last few years, we’ve seen some remarkable and inspiring things being achieved by bio-engineers bringing together stem cell research and 3D printed technology. Medical professionals now have the ability to produce artificial skin and liver tissue, amongst other things. 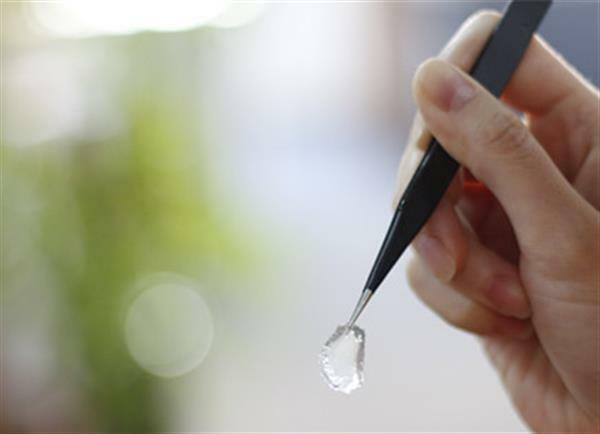 This trend is set to continue in future, as a team in Spain recently announced its intention to create a replacement cornea using 3D bio-printing. The Spanish Institute for Biomedical Research, at the La Paz Hospital (Instituto de Investigación Biomédica del Hospital La Paz (IdiPAZ)) in Madrid, will be capable of creating these 3D printed corneas within 5 years, and this should have a huge positive impact on the lives of countless patients. Over 10 million people a year go blind due to various different corneal pathologies, in part because transplants are so difficult to arrange. Having the ability to produce a cornea in laboratory conditions will mean that patients in need of a replacement will no longer have to wait for a suitable donor to be found. The aim of the research team is to develop the technology to produce a bio-mimetic human corneal stroma that will completely replace the need for human donors. Surgeons treating a patient with corneal problems will be able to get a new 3D printed cornea, tailored to the patient’s anatomy, within 5 days. This pioneering new research was selected by the Foundation for Innovation and Prospective Health in Spain (Fipse), in the framework of the international Idea2 Global program which was developed by the Massachusetts Institute of Technology (MIT). If successful, potentially millions of people could have their sight restored by the project. A number of different options are currently being explored by the team. The basic process they will be using is the synthesis of a polymeric extracellular matrix of collagen that mimics the human cornea. Stem cells will be 3D printed into this matrix, manufacturing a biological cornea as opposed to growing one. The 3D printing system has already been completed, and the team are currently working on getting the right nanotechnology to build the collagen matrix required to implement it. Guaranteeing corneal transparency required parallel collagen fibers to be printed with specific distances between them.